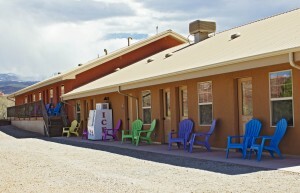 Nine cabin style rooms are located along the north side of the building, with comfortable chairs to enjoy the red rocks scenery. 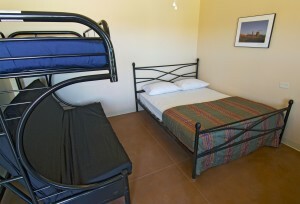 Rooms feature comfortable beds plus table and chair, microwave and small refrigerator. 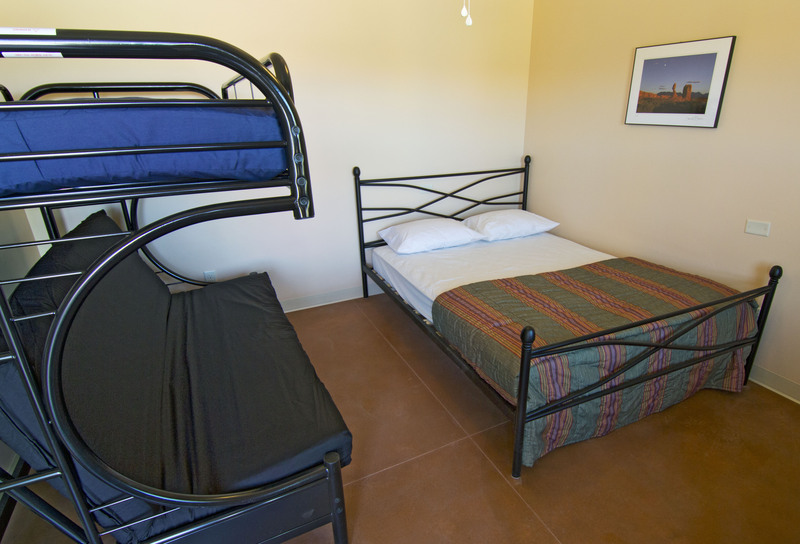 Our standard cabin-style rooms are equipped with a queen bed, a futon that turns into a double and with an overhead bunk to sleep five. 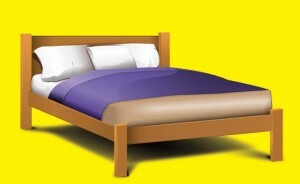 Room number 6 is set up with three of the futon-bunk units to sleep up to nine. Each room features a small refrigerator and microwave. The rooms are located along the back side of the main building, with north exposure for summer shade. Restrooms and showers are located in the middle of the building. Guests also enjoy the use of our community kitchen, Learning Center, outdoor kitchen and firepit, making the facility ideal for small group events, family reunions or classes. NOTICE: Effective June 8, 2018 we do not allow pets of any kind in our cabin-style rooms. Reservations made prior to that date that involve pets will be honored. Check-out time is 11 a.m. Check-in time for cabin rooms is 4 p.m.
For full pricing information go to the Prices page under Reservations. PETS ARE NOT ALLOWED IN OUR ROOMS. 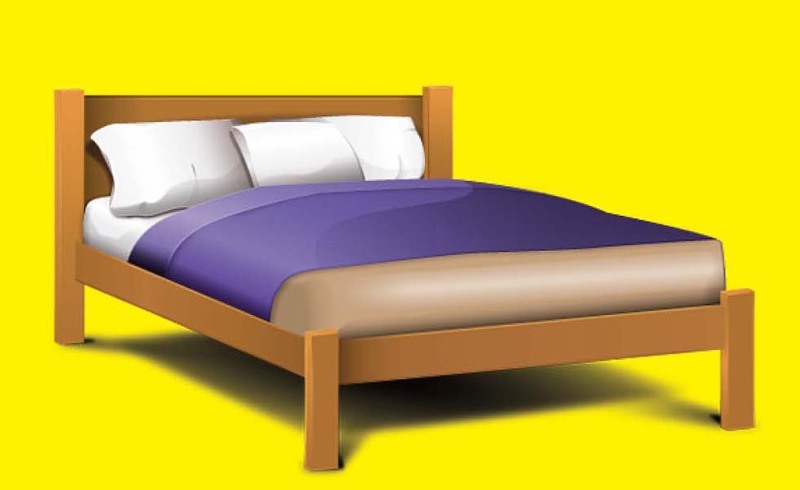 Unauthorized pets will result in double the room price.